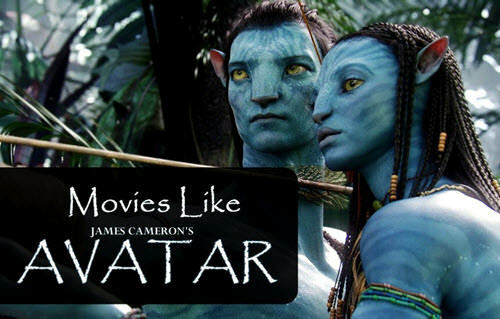 Movies Like Avatar (2009) '+g+"
Like watching sci-fi movies like Avatar (2009)? then check our list of recommendations for movies similar to Avatar which is a 2009 3D science fiction epic movie directed by James Cameron. The movie follows Jake an paraplegic ex-Marine who is brought to the planet of Pandora on a unique mission must now choose his path either to follow his orders or to protecting the world he feels is his home. Don't forget to mention if we miss any as we keep on updating this list. Dances with Wolves is an epic western film based on the 1988 book by Michael Blake with the same name. The story follows an Union Army lieutenant John Dunbar's (Kevin Costner) who becomes attracted to the Lakota Indians natural lifestyle and joins them. He must now fight along the tribe against Union soldiers who have arrived with designs on the Sioux land. Pocahontas is a 1995 animated musical romantic drama produced by Walt Disney based on the Native American woman Pocahontas. The story follows Pocahontas encounter with John Smith and the settlers that arrived from the Virginia Company. The magical inhabitants of a tiny rain-forest must fight to save their home from the human destruction and Hexxus the spirit of destruction which has been accidentally freed from its captivity by loggers. Delgo is an 2008 animated fantasy movie set in the magical world of Jhamora. The story follows an rebellious teenager and his friends who must save their world from the conflicts between the races of Lockni and Nohrin. Battle for Terra is a animated sci-fi movie about a peaceful alien planet called Terra which faces annihilation from last surviving race of humanity in an aging spaceship. With an unlikely friendship developed between 'Jim' a human and 'Mala' a rebellious Terrian, they must find a way for the two races to coexist. The Last Samurai (2003),.......if you can think of more, then don't forget to mention it in comments.